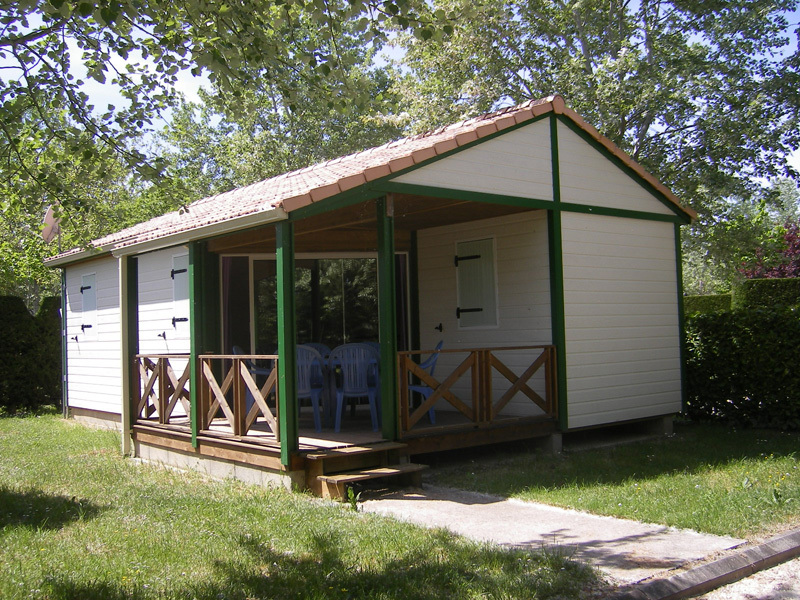 Rental : Chalet Fabre 6 pers. 3 bedr. 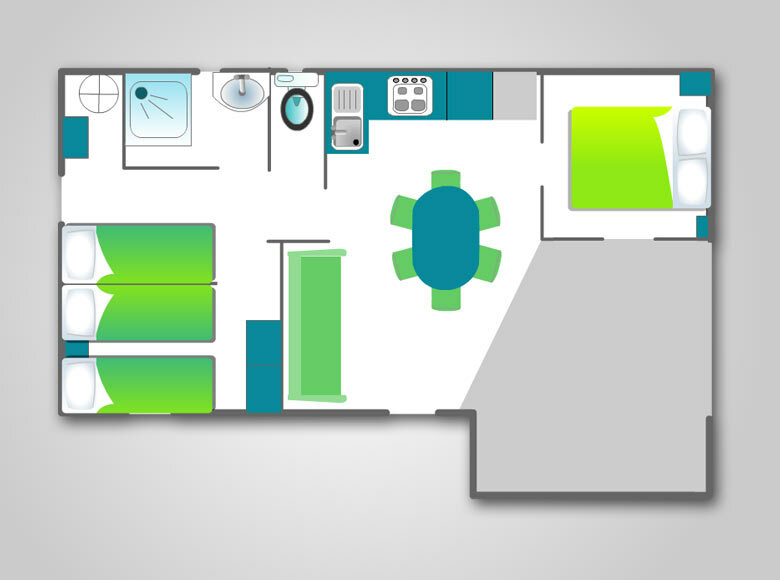 1 bedroom with 1 double bed; 1 bedroom with 2 single bunk beds and 1 bedroom with 2 single beds, electric heating; living room with equipped kitchenette: stove 4 gas burners; sink; fridge; microwave oven; shower, sink, separate toilet; wooden terrace with garden furniture and parasol. TV included.